The new tougher law has been implemented in Tempe. And it makes Tempe the first East Valley city to ban drivers from handheld phone use — whether texting or talking. 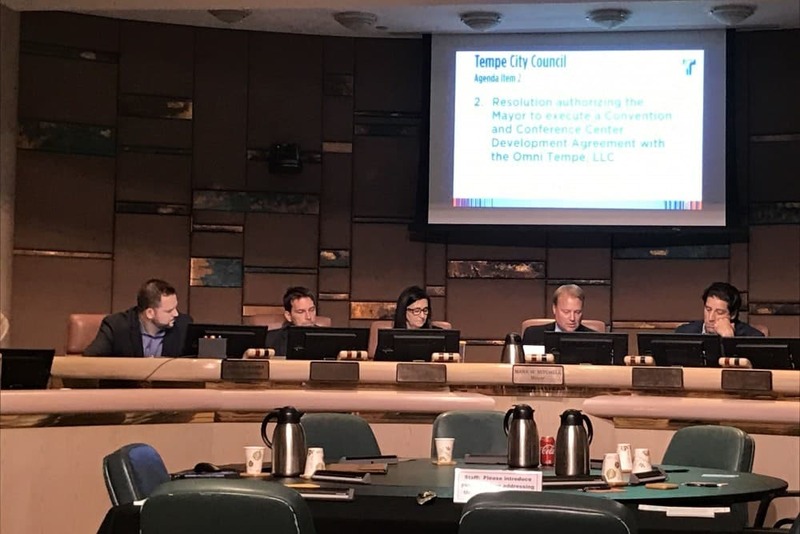 As per the reports, the Tempe City Council unanimously approved the ban Thursday, with an emergency clause that puts it in effect immediately. “The facts are that texting causes accidents and even death. Anything we can do as public servants to prevent deaths I will support,” Councilwoman Jennifer Adams said. In 2015, Tempe first passed a distracted driving ordinance which prohibited talking on the phone or texting, but only if police could prove the drivers posed a risk to themselves or others, and as a secondary offense. But the latest bill change makes manually operating a cell phone a primary offense, which means officers can stop drivers they see holding a mobile device. Emergency responders and drivers reporting to a medical emergency, safety hazard, or criminal activity also would be exempt. The new law goes effective immediately but as per Mayor Mark Mitchell’s request, a 30-day grace period for education with warnings issued instead of citations has been given. As per the law, fines for the first offense would be $100. A second violation would jump to $250, and subsequent violations within a 24-month period would be $500. Tempe Staff has also introduced the proposal as part of a national initiative to reduce the number of fatal and serious car crashes. As per statistics, nationally nearly 10 percent of about 35,000 people who died in vehicle crashes in 2015 died at the hands of a distracted driver, according to the Centers for Disease Control and Prevention. In January, Salt River tribal police Officer Clayton Townsend was hit and killed in January by a driver who was looking at his phone, according to police. Councilman Randy Keating also mentioned the recent death of a bicyclist hit by a distracted driver. “This is very needed and appropriate,” he said. The other side of metro Phoenix, three northwest Valley cities have implemented similar bans in the past six months. A bill moving through the Arizona Legislature may implement such a ban statewide. Other less strict bills also are under consideration. However, Arizona prohibits texting and driving for new teen drivers, but there’s no state-wide prohibition on overall hand-held cell phone use. The state legislature has reportedly considered but failed to enact stricter measures for more than a decade. In the absence of state law, a patchwork of local laws regulates phone use behind the wheel. Salt River Pima-Maricopa Indian Community – bans texting while driving. Outside of the Valley, Arizona cities that prohibit handheld-cell phone use while driving include Bisbee, Clifton, Chino Valley, Flagstaff (texting ban only), Kingman, Oro Valley, Prescott, San Luis, Sedona, Tucson, and Yuma. Coconino, Pima, and Yavapai counties also prohibit handheld cellphone use while driving.